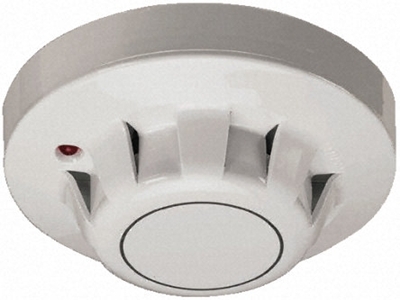 Optical Smoke Detectors are ideal at detecting visually smoky fires which are likely to be slow, smouldering fires. ABS casing with red LED fire indicator. The use of the diade base allows monitoring of a removed detector to comply with BS 5839. LPCB approved. N.B. Maximum of 20 per zone.